We thought of a few specific stats we could easily calculate and drew some sketches. Basically some kind of big line chart, and then some numbers around it. 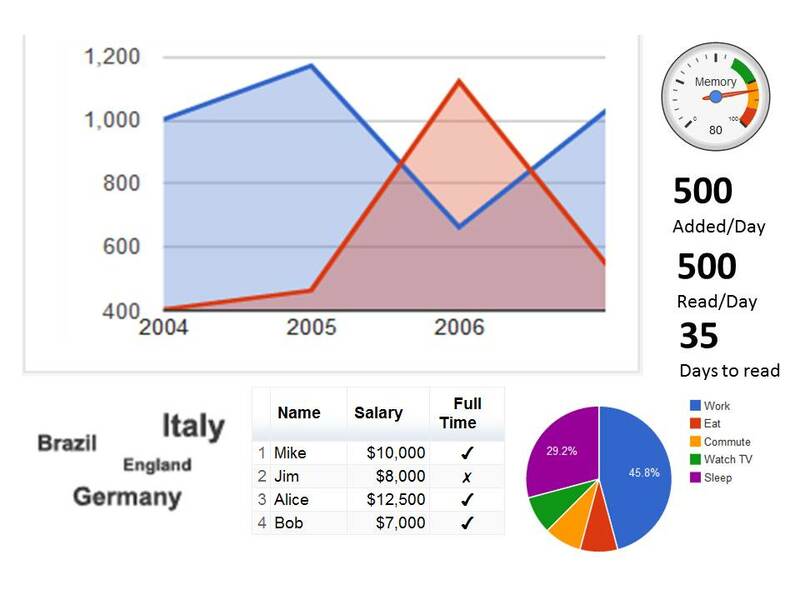 Then we looked at all the chart types provided by Google, grabbed screenshots of them, and ordered them into potential dashboards. For our first prototype we picked the easiest one just to get all the pieces in place. 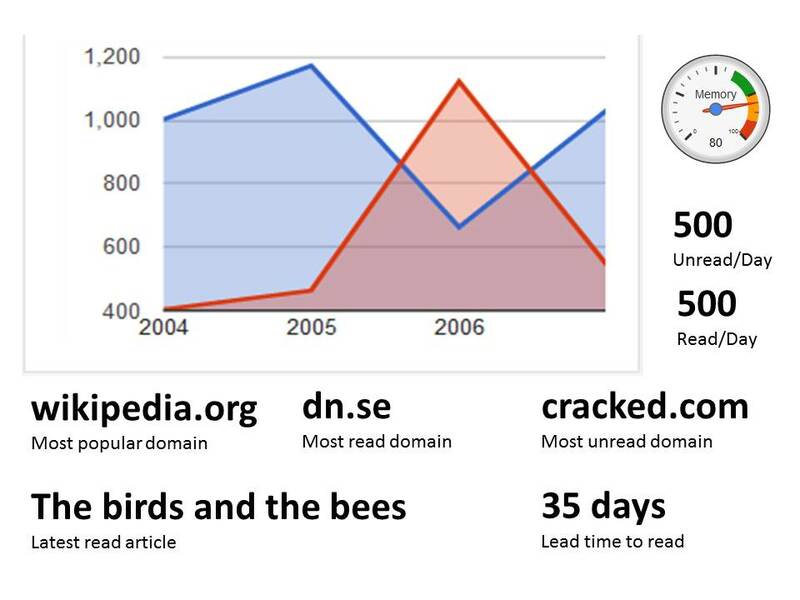 A simple bar-type distribution chart of how many articles are read after a set amount of time (i.e. 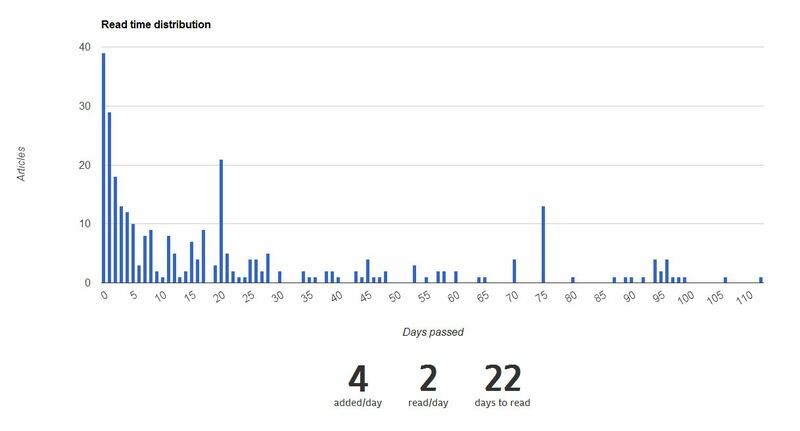 X articles on the same day, Y after 1 day, Z on after 2 days, etc). 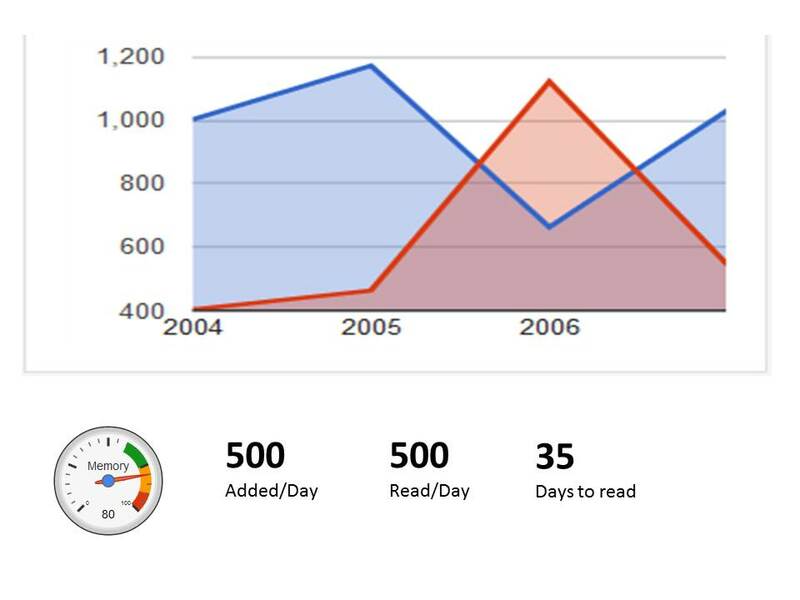 The three main numbers below the chart were average articles added per day, average read per day, and average time between adding an article and reading it. Parsing and calculating the stats was the easy part. A problem we have is that RIL doesn’t support JSONP. To get around that we used Yahoos YQL service. A potential new project would be a JSON tunnel. Finally we added a small login-screen, on the same page, put the data in the REST-call and blam! Done! As a former tab-junkie I owe most of my rehabilitation to Read It Later. I had a habit of leaving interesting articles open in new tabs, because if I put them in bookmarks it would just grow into a mess. Shortly after I bought my Amazon Kindle I started to look into how I could get those articles into it. I found Instapaper, which could have online articles sent to my Kindle on a daily basis. But that wasn’t the revelation I hoped for.